Quantum change takes place beyond the level of vibrating subatomic particles: the primal divine energy of sound and light which inspires us on our upward and inward journey of self-healing in all areas of our life. Quantum change isn’t just about sub-atomic particles. A small change starts a rippling effect in your awareness, health, relationships, and sense of well-being to create extraordinary outcomes in wellness and well-being. 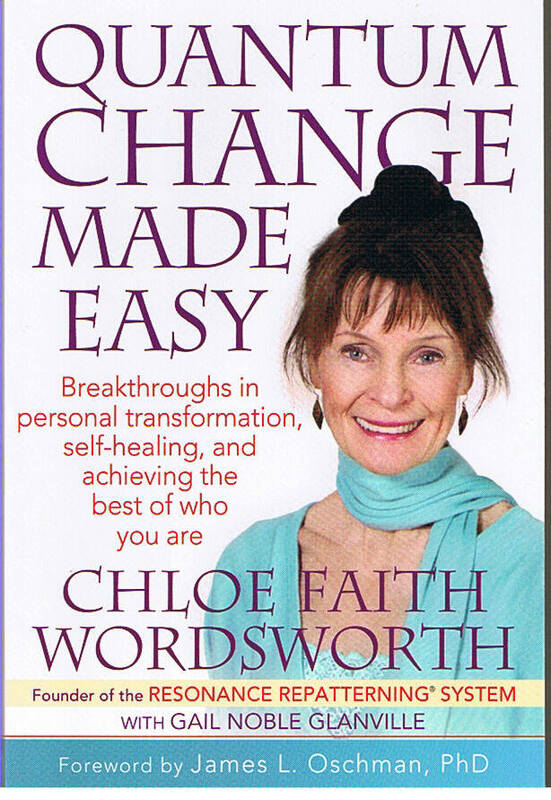 In Quantum Change Made Easy by Chloe Faith Wordsworth, many case studies tell how this works. In a case study I submitted for the book, a very bright child who was legally blind (and lowest functioning student in reading for her eight-year old peer group ) had an extraordinary improvement in her reading ability in response to a Vision Repatterning. The day of the session, her beginning concern was not about reading, but about not being able to perform in the school play happening that week. She was afraid that she wouldn’t make it, forget her lines, and freeze up. During her session, it was possible to find the source of her issue related to her fear. Through working with applied kinesiology and a detailed protocol, a memory imprint from her birth process checked in to help her regain greater ease and freedom.The session identified an Earlier Experience where her mother was in fear about not being able to make it to the hospital for this child’s birth. In fact, she was born in a stress-filled situation in a limousine racing its way to the hospital. Her father could not be there for her birth, nor could her mother feel at ease during her labor process. Through the work of this session, a Memory Update* created an ideal birth situation with both her mother and father present giving her loving messages as she was born into this world validating presence. The session also worked with releasing residual stress in her body-mind system that had caused stress to her physical vision. The outcome of the session was amazing! That week she breezed through all of her lines in the play, and a few weeks later, she scored the highest among her peer group on the State Reading Tests. The energy that had limited her had been freed, and had shifted into better support for her energy system. This decreased the stress in her body and her energy field for a quantum leap into more coherent expression of her core essence and life vision. * In Quantum Physics time is not fixed, but flexible, so we can work any place on the time-space continuum to update the energy in the present from the past. Your body is wired for success and self-healing. 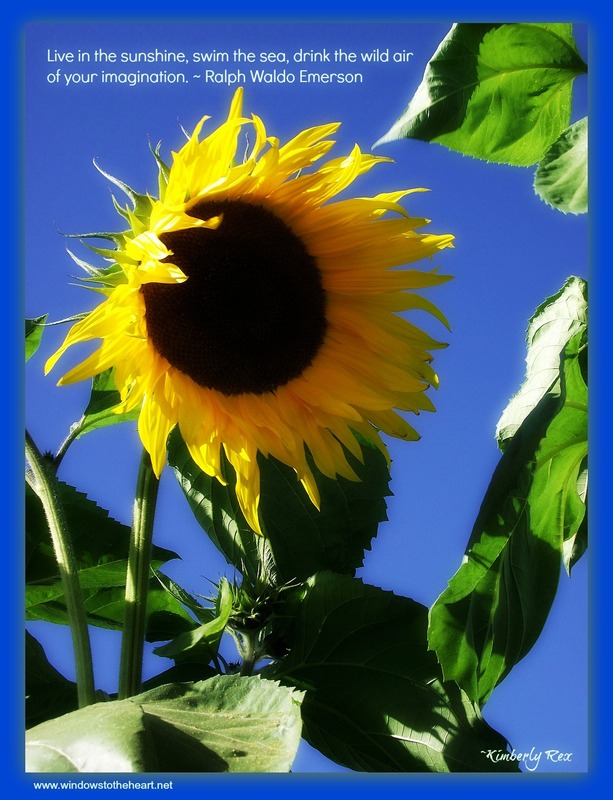 Like a sunflower orienting itself to the sun for life energizing and sustaining nurture,you, too, can move through change more coherently by orienting ourselves to the frequencies of Coherent Life Energy through Resonance Repatterning®. 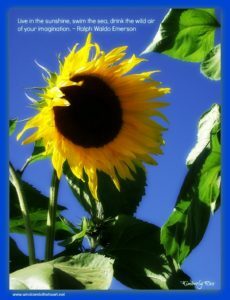 This allows us, like the sunflower, to be more oriented to that which is nurturing and life enhancing as we go through the process of change. 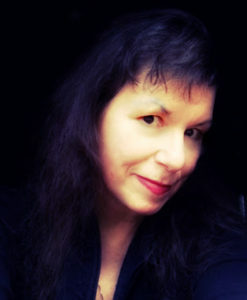 When you resonate with nurturing life energy, you then begin to resonate with actions, resources and commitment that will support you in feeling more centered, empowered, joyful and loving through transition. As a result, this creates more freedom, flexibility and sense of ease. A Resonance Repatterning ® session assists with bringing your life into more coherent balance and ideal life energy flow. Everything in the Universe has a frequency. Where underlying unconscious patterns, traumas or generational beliefs have created more pain or stress in your life, a session works to name and shift frequencies so you can become more oriented to nurture in your life. Like a garden hose that has a kink (energy disruption ) taken out of it, a session decreases stress and increases ease and flow within our bodies, in our communications and our vision of life. Get Quantum Change Made Easy: Breakthroughs In Personal Transformation, Self-healing and Achieving the Best of Who You Are (Resonance Repatterning Books) by clicking this link.